Kenneth is a results-oriented executive with 20 years of experience in business operations and technology. Specializing in translating vision into actionable strategy, he consistently drives turnarounds of underperforming organizations, accelerates revenue growth and profitability for new business ventures and product launches, and improves velocity and value realization of strategic business investments and acquisitions. 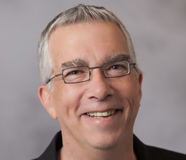 As a proven change leader, Kenneth has extensive experience in all aspects of designing business operations, including product development, marketing sales and distribution, consumer engagement and service, operations transacting and administration, technology enablement, and organizational structure and performance. 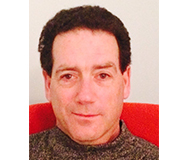 Ken is a Managing Director in Alvarez and Marsal’s Healthcare Industry Group. Scot is the owner and CEO of Groov-Pin Corporation, a manufacturer of engineered fasteners and precision turned components with plants in Smithifield, RI, and Newnan, GA. Prior to Groov-Pin, Scot was with GE as Manager of Marketing and Engineering for a unit within GE Medical Systems. Following graduation from a GE management training program, Scot led the model shop and formed the production team for the start-up of GE’s MRI scanner business. He went on to lead groups accelerating the development of imaging technology for pharmaceutical and medical research. Scot has a BSEE from the University of Maine, an MASc from the University of Toronto in Wave Sciences, and an MBA from the University of Chicago Graduate School of Business. Scot serves on the board of Crossroads RI and is a member of YPO/WPO. He lives in North Kingstown, Rhode Island. Kim’s more than 30 years as a business leader and entrepreneur started in the Executive Training/Buying Departments of Jordan Marsh and Macy’s. She founded Teapots & Tassels, Co., which was awarded “Best of Rhode Island” repeatedly, and was featured in Southern Home Magazine. Kim has founded and led several significant community based programs, including the Barrington Business Task Force, and was awarded “Entrepreneur of the Year” award by the SBA in 1991 and “Citizen of the Year Award” in 2005 by the East Bay Chamber of Commerce. She founded and chairs Flower Power, a community beautification effort in Barrington, and has raised close to half million dollars in twelve years for this endowed effort. In 2009 Kim and her daughter, Ava, founded Ava Anderson Non Toxic, a direct sales company offering the safest full line of 90+ organic and natural personal care and home cleaning products, whose singular purpose was to reduce harmful chemicals linked to disease for humans and the environment. In 7 years she and her daughter built the company to a $60M run rate, with 100 local employees, and 20,000 enrolled Independent Consultants across the country. The Andersons sold the business in 2016, and Kim is now dedicated to working with her family to impact invest for climate crisis solutions. Sylvia has spent over thirty years working in various aspects of the non-profit sector. Following a BS in Economics from the Wharton School, and an MA in International Relations from UPenn, focusing on development economics, she spent a decade in New York advising emerging market countries on their foreign investment promotion. She then married a UNHCR official and spent the next six years in various war zones running income generating projects, then settled in London. For the last 16 years, she has been advising non-profits on governance, strategy and sustainability, most recently in Rhode Island’s History and Heritage sector. In 2014, she returned full time to the USA, and in 2015 founded ‘Uplifting Journeys,’ a donor education course to learn the basic elements of effective giving. 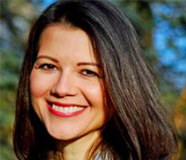 Claudia is a Gallup-Certified Strengths Coach with over 10 years of experience assisting small businesses; non-profit organizations and the private sector to improve employee engagement and economic growth. She brings a unique blend of experience in the private and public sectors, combined with a vast network and access to resources that she leverages to find customized solutions that best meets the needs of her clients. Her passion for helping others develop their full potential has its origins in her own story as a first-generation immigrant to the United States. Her constant pursue of personal and professional development allowed her to gain experience in a variety of industries, always pushing the boundaries of her comfort zone and striving for excellence. Claudia is the Community Development Manager and HarborOne Bank, and a Strengths Coach at Leadership Rhode Island’s Make RI Stronger Initiative. Ms. Cardozo is in the board of directors of Academy for Career Exploration High School and the Providence/Cranston Workforce Board. She is also a Community Advisor at United Way of Rhode Island and Business Mentor at Venture Mentoring Services of Rhode Island. Claudia holds a certificate of Master Coach of Neuro-linguistic Programming. In 2010, Claudia was named the Minority Small Business Champion of the Year by RI Small Business Administration, and in 2013, RI Latino Public Radio recognized her with an Outstanding Achievement Award for her contributions to the Latino business community. She also received the Ronald McDonald House Community Service Award in 2014. MJ juggles several roles. In 2014 she joined Loomio, a social enterprise start up based in New Zealand. Loomio is an online platform for collaborative decision making that is in 75 countries and growing rapidly. MJ teaches social enterprise and strategy at Brown University. Since 2000, MJ has led Kaplan Consulting, focused on strategic alignment, partnerships and leadership. MJ was the Fulbright New Zealand Ian Axford Fellow in 2013, where she researched social enterprise start-ups. In 2014, MJ’s research contributed to national policy changes and substantial growth of the social enterprise sector in New Zealand. A leader in design innovation, serial entrepreneur Martin Keen is the founder of the global socially-conscious KEEN® Footwear brand and, more recently, the award-winning Focal Upright Furniture company based in Portsmouth, RI. His love of sculptural form, structures found in nature and competitive sailing inspire his pragmatic design aesthetic, helping him create many of the market trends and innovative products in use today. Keen was born in 1965 in Somerset, England. He holds a BA in Industrial Design from the Ohio State University. In addition to racing sailboats, Keen also enjoys traveling, beekeeping, creating sculptural pottery and snowboarding in the mountains of Vermont. He lives in Jamestown, Rhode Island with his wife and two children. 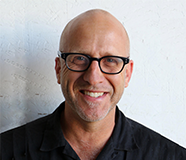 Mark is a social marketing strategy advisor to social purpose organizations spanning government agencies, foundations, non-profits and social ventures. He co-founded and co-owns Worldways with his partner Maureen Cronin. Worldways has provided research, strategy, design, integrated media, Web development, digital marketing and technology innovation services to over 100 client organizations on three continents. A social enterprise coach and investor as well, he has helped to launch and scale organizations in such arenas as health, fair trade and organic fashion and socially conscious films, as well as in the microenterprise arena. 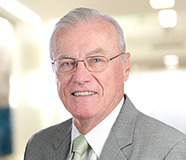 Prior to Worldways, he served as a partner in several health and health care industry consultancies. Macky McCleary was appointed as Administrator, Rhode Island Department of Public Utilities and Carriers by the Governor in September 2016. 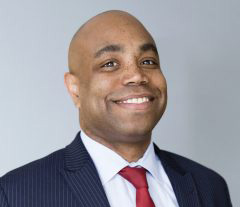 He previously served as Director of the RI Department of Business Regulation where served statutorily as the State Banking Commissioner, Commissioner of Insurance, Real Estate Administrator, and State Boxing Commissioner. 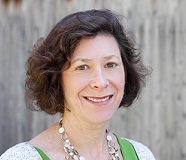 Macky has also served on the Board of Commissioners for RI Housing, as Deputy Commissioner for Environmental Quality (EQ) at the Connecticut Department of Energy and Environmental Protection (CT DEEP). While at McKinsey & Co., a global management consulting firm, he worked on a wide variety of strategy and operations projects for clients around the globe. Macky was the co-founder and president of EmPower CES, a start-up clean energy and green building development company. Macky built EmPower around a commitment to energy independence and environmental stewardship. The company now markets clean energy products and services to homeowners, businesses, and institutions. Macky hold a bachelors degree from Yale, and a Masters of Architecture from Yale School of Architecture. He worked as an architect and urban designer in his early career. Jack is a senior counsel at Partridge, Snow and Hahn, a law firm with offices in Providence, Boston, Westboro and New Bedford representing entrepreneurs and not for profit entities and focused on strategic enterprise planning, corporate governance, and protection of intellectual property. 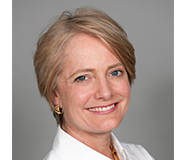 Sonia Millsom is a healthcare executive with 20+ years of experience growing revenue across multiple verticals. She currently leads Business Development at Iora Health, a high-impact, relationship based care system with a mission to restore humanity to healthcare. She held leadership positions at Best Doctors, Health Dialog, United Healthcare and The Segal Company. 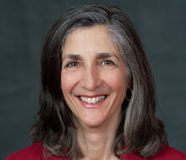 She holds board positions at the National Coalition for Healthcare and HealthSource RI. 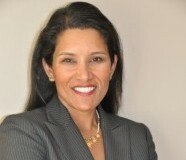 Sonia is a mentor through the Council for Women at Boston College and Menttium. Her passion for delivering high quality healthcare started during her time as a Maternal Child Health Peace Corps volunteer in Morocco, North Africa. Sonia has a Masters in Public Health from Columbia University and a BA in Political Science from Boston College. She lives in East Greenwich, RI with her husband and two daughters. 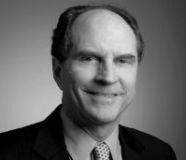 Jim Seymour has over 36 years of investment and finance experience in international and emerging markets. With Bankers Trust, he spent 18 years living and working in Africa, Asia, the Middle East, Europe, and Latin America. He also worked for 13 years at Commonfund Capital managing international/emerging markets private equity funds; 4 years at EMP Global, a Washington based emerging markets private equity firm; and most recently with Pontefract Global Strategies, LLC (PGS). PGS advises investors and investment management firms on investing in international private equity opportunities with a primary focus on social impact investing in frontier emerging markets. Examples of current relationships include a corporate finance firm based in Vietnam; a Cambodia-based private equity firm; a new private equity firm in Haiti; an early stage venture capital firm in India; and a new private capital firm in Nigeria. Jim has served on 18 private equity fund advisory boards and is currently on the Board of the Africa Emerging Markets Fund and several non-profit Boards including the Global Partnership for Afghanistan, the Coalition for Green Capital, and the Thunderbird Private Equity Center. In the past he has served on the Boards of The Brent School, an Anglican boarding school in Baguio, the Philippines, the American Church in London, Christ & Holy Trinity Church in Westport, CT, and the Westport Public Library. Jim is a graduate of Yale University in International Relations and Harvard Business School in International Finance and served four years in the U.S. Navy submarine force. 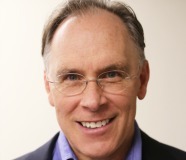 Lorne Adrain is a co-founder of SVPRI and served as the Chair for several years. 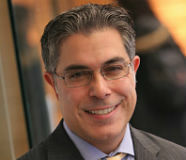 He is highly engaged in philanthropy – author of a book series raising money to support community needs (www.adrain.com), founder of National Neighborhood Day, RI Foundation’s “Inspiring Partner of 2005″ and winner of Northwestern Mutual Life’s community service award “Most Exceptional Volunteer” in the nation. Lorne serves on multiple boards including Harvard Business School, Big Picture Schools, and the Business Innovation Factory. He earned his BS at University of Rhode Island and his MBA at Harvard. Mr. Adrian lives in Providence, Rhode Island. 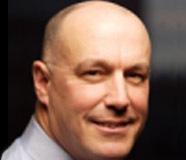 John Farber has over 25 years experience in developing and managing brands in the food and housewares sector. He is currently the president of HEYMB Food Enterprises LLC which manages the food and housewares businesses of renowned chef Mario Batali. Mr. Farber was also an owner/founder of OXO International, the iconic housewares brand. Prior to OXO, Mr. Farber spent 6 years on Wall Street in the Mergers and Acquisitions Business. Mr. Farber has an MBA from Yale University and a AB from Oberlin College. 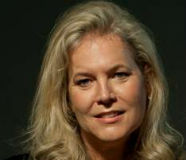 Diane Lynch has been a Social Enterprise Greenhouse partner since June 2009. She has served on the Loan Committee and the Board for the last four years, and has been Chair since 2013. Previously, Diane was a management consultant with Booz, Allen, working primarily in the food sector, assisting domestic and international food manufacturers and retailers in the areas of operations, logistics, strategy and product launch. From 2009-2011, she served as Director of Social Enterprises at Amos House, working with their catering, restaurant, baking mix, and home improvement businesses. She holds a BA from Brandeis University and an MBA from Boston University. Her public service experience includes work in education, municipal planning and urban environmental planning. Diane, her husband Jim and their three children reside in East Greenwich, Rhode Island.